If you’re thinking about taking your next family vacation overseas, a great place to start is London. My husband, two teenage sons, currently ages 15 and 17, and I recently spent a week there, and found it easy to adapt, explore and enjoy the city. This was my sons’ first time in Europe, and while they kept calling London “basically New York City with accents,” they also saw and learned a lot about the culture. We explored the city for six full days, and saw as much of it as possible. Here are my tips on activities, restaurants, travel and a few other things to know before planning your own family trip. I don’t think we used cash or coins once during our entire stay. There are money exchanges at the airport, of course, but we got by just using our credit cards. Even the market vendors take credit cards. However, it’s important to make sure in advance that your credit card doesn’t charge foreign transaction fees, and that you give them head’s up you’ll be in another country so they don’t cancel your card thinking it was stolen. 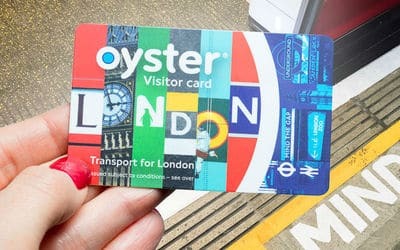 The easiest way to get around, besides walking, is via an Oyster card that works for trains, light rail, the London Underground (Tube), and buses. We ordered our cards with credits on them before we left and had them mailed to us, and then easily added more money during the week using kiosks in the stations. There isn’t Lyft in London, but there is Uber. We used that to get from Heathrow airport to our flat. London has no shortage of things to do, but because I was there with teenagers in November, I won’t be discussing any playgrounds, zoos or splash pads. 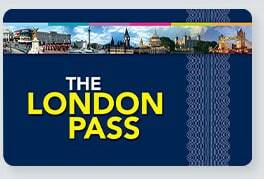 A lot of activities are free (which I’ll cover next) but for the paid activities, we bought the London Pass. This is a “city activity” pass that gives you entry to over 80 attractions, tours and museums, including Windsor Castle, Shakespeare’s Globe theater, and more. It’s most effective price-wise if you do as many activities as allowed per day. 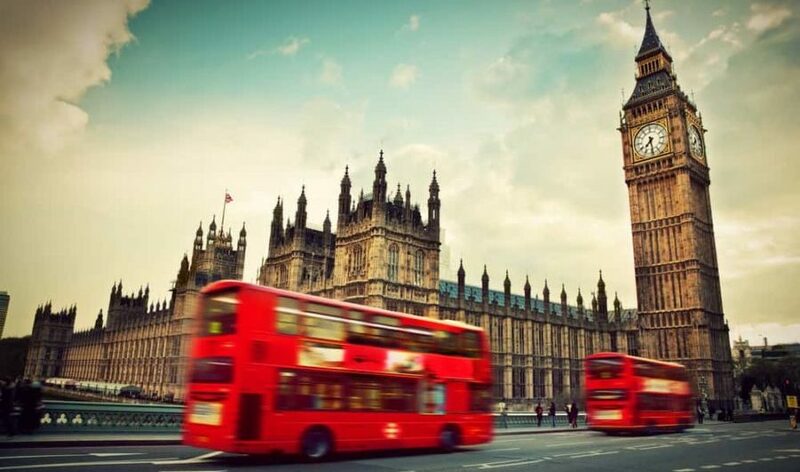 It also includes a free 1-Day Hop on Hop off Bus Tour to explore London, which is nice on a day when you want to sit. Check out the costs and activities to see if it makes sense for you. Tower of London: This stunning castle and grounds are about as “London history” as it gets, and we all enjoyed seeing the Line of Kings and Torture at the Tower. Other highlights were the Crown Jewels, the Yeoman Warder tours, White Tower, and the giant ravens. 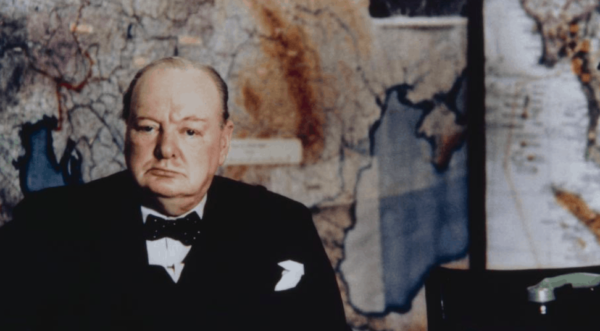 Churchill War Rooms: Winston Churchill’s underground bunker, where he and his inner circle directed WWII, was recommended to me by friends and acquaintances who had visited more than anything else in London. It was truly fascinating to walk through the actual halls and rooms where Churchill worked, and the interactive displays are really well done. Pro tip: Watch the movie “The Darkest Hour” before your trip. Westminster Abbey: Built in 960AD, this UNESCO World Heritage site is a can’t miss, even if you’re not particularly religious. The architecture, history, and famous burials — Stephen Hawking, Sir Isaac Newton, Mary Queen of Scots — make it worth your time. Plan to spend at least two hours here because there’s so much to see. Namco Funscape: This large, indoor video and game arcade is the perfect place to go when it’s cold outside and kids need a break from looking at historical castles. Thames Boat Cruise: We took an enjoyable cruise through London to the pretty village of Greenwich. It was nice to see the Tower Bridge and other landmarks on the way. We then stood on the prime meridian at the Royal Observatory Museum, which the boys enjoyed. 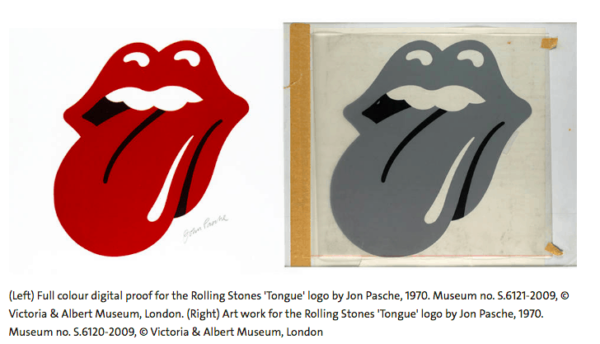 Museums: Most of the museums in London are free. Our favorites were Tate Modern, National Gallery (mostly paintings, with a additional $10 charge to visit the Impressionists), and my favorite, the Victoria & Albert Museum. The V&A will take you hours because there’s so much to see. Maybe look at their website in advance and make a plan. The boys really enjoyed the Theater & Performance exhibit that features costumes from stage, screen and music. V&A also has a lovely cafe with a great menu. Markets: There are lovely markets all over London, and we happened upon most of them just walking around. Most of them feature food, cheeses, and small gifts. If you’re visiting in the fall, a lot of them will have a Christmas theme. Sky Garden London: We loved the views from this glass dome that towers over London. Enjoy restaurants, landscaped public gardens, observation decks and an open air terrace while you look at the city. Free, but make your reservations in advance because they limit the amount of visitors. 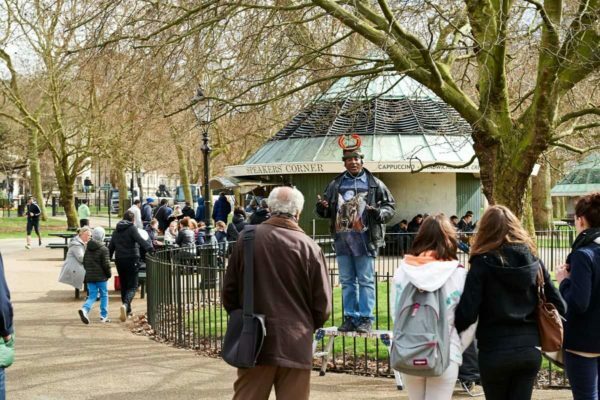 London Parks: There are beautiful public parks to be found throughout London, including Kensington Gardens, home to Kensington Palace, the Albert Memorial, the Peter Pan Statue, and the Diana, Princess of Wales memorial playground. We enjoyed Hyde Park that features the Diana, Princess of Wales Memorial Fountain and the famous Speaker’s Corner where someone is always pontificating. 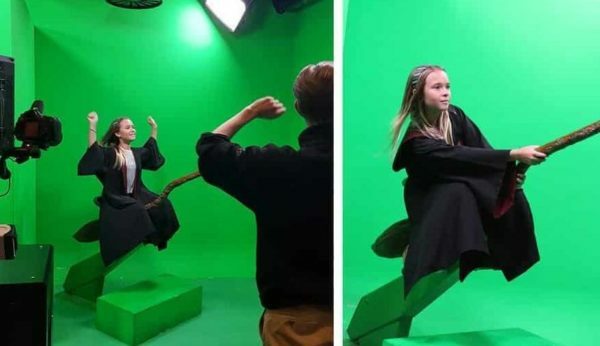 The Harry Potter Studio Tour is located 20 miles north-west of London, so you will need to arrange your own public transit or private transportation. The visit will take anywhere from 2-6 hours because it’s mostly self-guided. There’s also a nice restaurant located midway through the tour. Please note that tickets definitely sell out in advance, so get yours as soon as possible. If you do miss out, don’t fret, because there will probably be tickets available at one of their approved ticket distributors. We bought ours through Golden Tours, and that also included the round-trip bus transportation. Our tickets were $97 each doing it this way, so it’s worth your time to price out the tickets from the WB site, plus how much you’ll have to pay for transportation. Byron Hamburgers (multiple locations), The Diner Soho near the fun Carnaby Street and featuring “American” food, Pizza Express (multiple locations), Caffe Nero for coffee and snacks (multiple locations) and the always popular with my kids Pret-a-Manger, located pretty much everywhere in London. 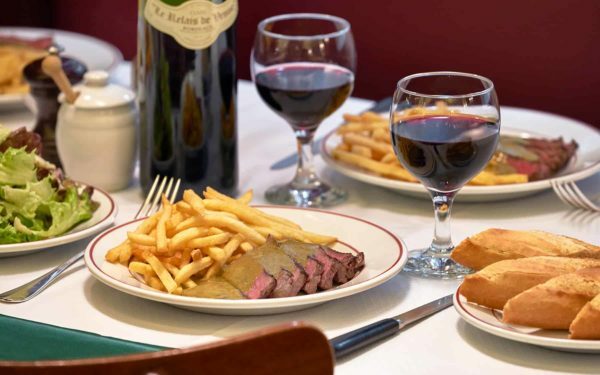 The nicest meal we had was at Relais de Venise L’Entrecote, which was a huge hit. It’s $30 a person, and the only menu items are steak, steak-frites and a salad. You can also get a refill. My boys loved it. The London Eye: I know this big ferris wheel in the middle of London is really popular, but we chose to not go on it because the lines were super long, it’s a big time commitment, and it’s also $32 per person. Plus, we were able to get amazing views of London at the free Sky Garden (see above). Picadilly Circus: This busy intersection is described as London’s Time Square, but we found it to be even more crowded and congested. There are a lot of restaurants and shops, however, that may not be worth fighting the masses to get inside. I hope all of this helps you when planning your trips to London with your older kids. And if you’ve already been there, tell us in the comments what we missed!